What training would you contribute to your success? In high school, I did not train on the 3m board, and I have found that in extensively practicing basic “Required” dives, my technique on 1m has improved dramatically. It took a long time to get comfortable performing on an apparatus so much higher than the one I was accustomed to being on. My coach has been so patient with me and adjusted his coaching style to accommodate my initial fears, which has helped me progress more than I could have imagined. What is your goal for the remainder of the season? I hope to improve upon my score at the last meet heading into the Wabash Invitational. 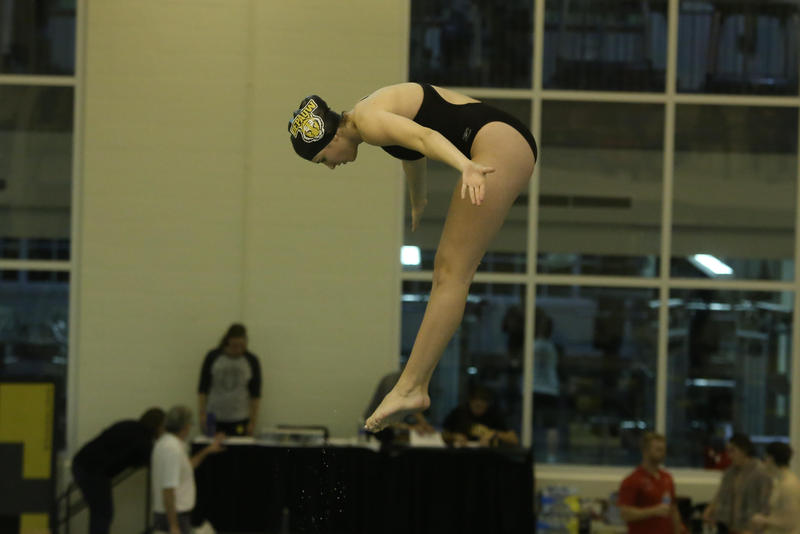 Later in the season, I also hope to improve my score at Conference last year on 1m and qualify for finals on 3m. Essentially, I want to do whatever I can to score the most amount of points for the team in these major meets. How do you go about training as the only diver on the team? 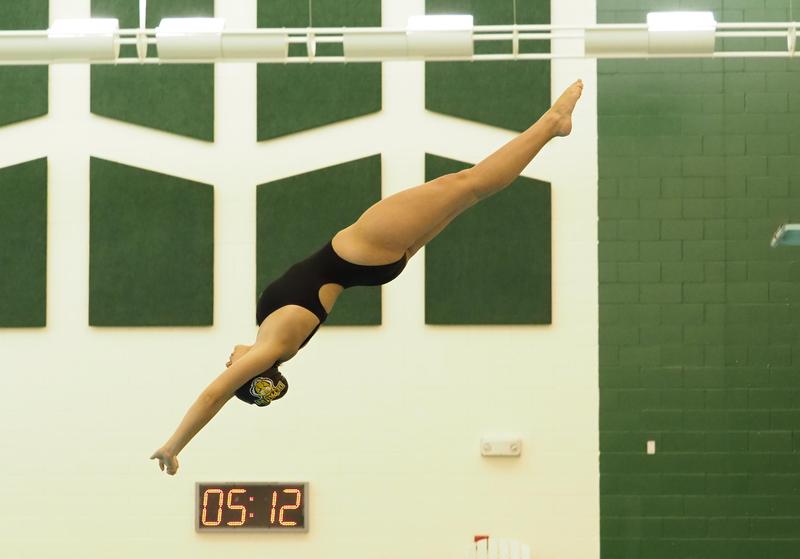 Training as the only athlete on the diving time allows for a slightly more flexible schedule than with most team sports. My coach and I collaborate on practice times each week, so I am not confined by a extremely rigid practice times. During practice though, it does get lonely at times, especially during frustrating practices. I have been overwhelmed by the support I have received from the swimmers, even though we seldom practice together. 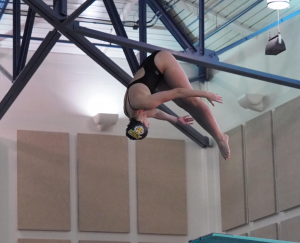 There has never been a moment this season when I did not feel a part of the larger team even though swimming and diving are such different sports. These women are so fun to be around and never cease to brighten my day, especially after a bad practice or meet. I have been diving for five years now. I was a gymnast for nine years prior to taking up the sport my sophomore year of high school thanks to some healthy encouragement from one of my best friends. My coach, Alistair Frost, commutes from Indianapolis, so I typically practice with him three days each week and do weight and circuit training either on my own or with the swimmers on off-days. What does it mean to be a DePauw athlete? Being a DePauw athlete is an honor. It has given me an opportunity to discover confidence in myself that I didn’t know I had and has given me an opportunity to make lifelong friends. Being an athlete reminds me that there is always room for growth, and forced me to reestablish why I continue to dive in the first place.